Bicycle Attorney Ft. Lauderdale | Welcome to Adam Franzen. P.A. Bicycle injuries can be very serious! If a bicyclist is involved in an accident on the roadway, he doesn’t have the buffer of the car or truck between him and the impact. That can result in more serious and traumatic injuries. If you’ve been involved in a bicycle accident in Ft. Lauderdale, you should contact Adam Franzen as soon as possible! He will make sure you are represented and you receive all the compensation you deserve! Millions of people bicycle safely on public roads. But many are scared away because motorists sometimes pass too closely, honk, or tell cyclists to get off the road. Though these behaviors are not the most common source of injuries to cyclists, they are unsafe and illegal. The traffic law says that drivers must pass at a safe distance. When a travel lane is not wide enough to share, safe bicyclists move to the middle of the lane to insure that motorists use the next lane over to pass or wait until it is safe. Motorists can help prevent crashes with cyclists by taking care to follow the rules on yielding and turning. Make sure to yield to cyclists when turning left or entering the road from a side street, driveway, or parking lane. Merge completely to the far right edge of the road in advance of making a right turn. Wait for any bicyclist ahead to clear the intersection before you make a right turn — do not turn across the path of the cyclist. Even if there is a bike lane, you should merge into the bike lane before turning right. Cyclists, in turn, can make themselves safer and respected. Competent cyclists politely cooperate with other drivers by yielding when required, choosing the correct lane at intersections, using lights at night, and otherwise following the same traffic laws as motorists. Such cyclists are far safer than inexperienced cyclists. If you can skillfully control your bike by starting, stopping, and turning properly, you will not fall down all by yourself or run into others. Do this and you cut out about half of your injury risk. To ride in groups, a cyclist must have good bike handling skills. Follow traffic laws, obey signs and signals, use headlights and taillights at night, and use the correct lanes for turns and through movements, and you won’t cause a collision with a motorist. About half of cyclist/motorist crashes are caused by cyclists who violate the basic rules of the road. Knowing when to use the full lane or to share a lane is something few cyclists fully understand. Your position in a lane is the best way to make yourself conspicuous, to tell drivers what you are doing, and to discourage them from making unsafe movements. Many of these effective lane positioning principles have been forgotten by the modern cycling community, so they may be contrary to what you’ve been taught! Combine Tips 1, 2 and 3 and you cut out about 99% of all potential crashes. There are evasive maneuvers you should know that can help you avoid major motorist mistakes or dodge obstacles. Knowing how to stop and turn quickly helps you avoid motorist mistakes that aren’t discouraged by lane positioning. These skills are not instinctive and must be taught. This is actually the least effective tip in injury avoidance. Helmets and gloves protect your most vulnerable body parts as a last resort in case of the very rare failure of Tips 1 through 4, but they do nothing to help you avoid crashes. Bicycle attorney Adam Franzen knows Florida bicycle laws. You may follow all laws and tips to bicycle safety, but may still be involved in a bicycle accident that is not your fault. In that case, call Adam Franzen at (954) 462-5790. 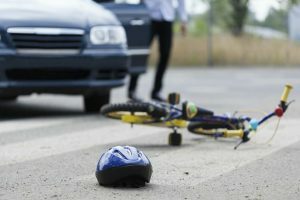 Visit his website to learn more about how he can help you with your bicycle and other personal injury cases. This entry was posted on Thursday, July 21st, 2016 at 1:58 pm	and is filed under Blog. You can follow any responses to this entry through the RSS 2.0 feed. Both comments and pings are currently closed.